The global glut of large commercial helicopters grounded by low energy prices and safety concerns has left providers looking for new uses, including ferrying soldiers and making maritime rescues. 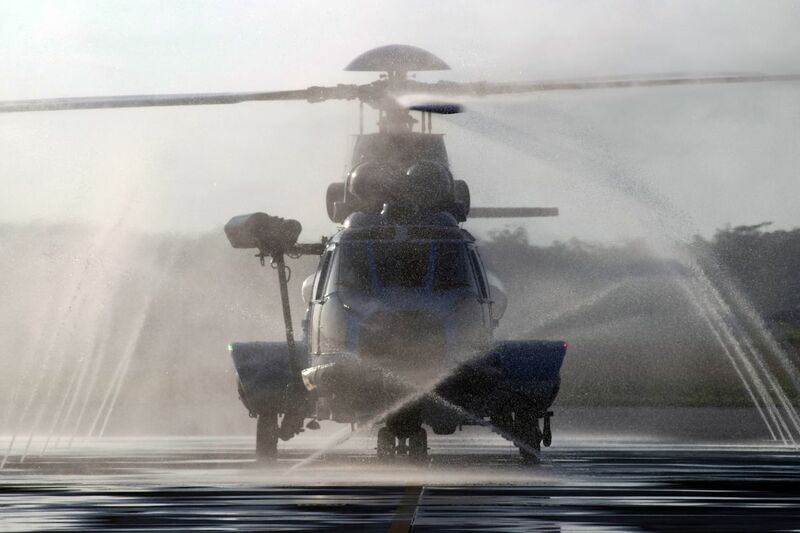 About a fifth of the global fleet of around 1,800 choppers is grounded because of weak demand as falling oil prices hit energy exploration and production, according to helicopter-company executives. “This downturn show a clear overcapacity in the market, especially for heavy aircraft,” said Regis Magnac, vice president for customer operations at Airbus Helicopters, a unit of Airbus SE . Safety questions about one of the best-selling models, the 19-passenger H225 Super Puma made by Airbus, are contributing to the glut. The $25 million machine was once a workhorse, flying workers and supplies to offshore facilities, but about a 100 of them have been mothballed for two years or more since two fatal crashes in 2013 and 2016. Airbus, one of the biggest manufacturers of commercial helicopters, has shipped four Super Pumas so far this year compared with 43 in 2014. Deliveries of the rival S-92 made by the Sikorsky arm of Lockheed Martin Corp. fell to two in 2018 from 42 four years ago, according to the General Aircraft Manufacturers’ Association, a trade group. The uncertainty about the industry helped drive Waypoint Leasing Holdings Ltd., one of the biggest renters of commercial helicopters, into bankruptcy protection last week. Airbus, fleet-operators such as Bristow Group Inc. and leasing companies such as the Milestone Aviation arm of General Electric Co. are trying to convert helicopters for use by the U.S. military and government work overseas—but with limited success. Bristow, the world’s largest commercial-chopper operator by sales, has been among the hardest hit by the broader oil-and-gas downturn and the loss of Super Puma business. Its market value has slumped from almost $3 billion five years ago to under $150 million. The company has returned some of its Super Pumas to leasing companies while another 16 it owns have been shrink-wrapped and stored. The Houston company is pursuing alternatives that include flying U.S. forces in Afghanistan as well as other government-focused work, such as search-and-rescue and medical transport. This month it agreed to buy Columbia Helicopters, a deal which would bring with it licenses to fly for the military. U.S.-based Columbia also uses big choppers such as the Boeing Co. Chinook to fight forest fires. Airbus said the Super Puma is safe—U. K. and Norwegian regulators lifted a flying ban in 2016—and a few are still used by oil-and-gas companies in Asia and Latin America. However, the North Sea, by far the largest market, remains out of bounds as workers continue to refuse to fly on them. The fatal crashes in 2013 and 2016 off the coasts of Scotland and Norway killed 17 passengers and crew. “Confidence has been shattered as a consequence of what’s happened since 2009,” said Jake Molloy, regional organizer for the RMT union in Aberdeen, which represents North Sea oil workers. Airbus last year started a push to help find new users for the Super Puma outside of oil and gas. The company said it has found alternative work for around 50 of them. This includes 21 being taken by the Ukrainian government for transport as well as search and rescue work. U.S. Transportation Command, the Pentagon’s logistics arm, said it was seeking bids for helicopters that seat 15 to 20 passengers, contracting to address potential shortages caused by choppers becoming worn out by years of service in the Middle East. The command has yet to award additional work and declined to comment on specific helicopter models. Mr. Magnac of Airbus said it could take a few weeks or even months to convert a chopper used by oil-and-gas customers. In many cases, buyers are government agencies or companies that couldn’t afford a brand-new one but are happy to take the used versions, often less than 10 years old, at discounted prices. Misleading title. Article is actually about how Eurocopter is in worse trouble than Sikorsky as people who want to live refuse to fly in them. "The Houston company is pursuing alternatives that include flying U.S. forces in Afghanistan as well as other government-focused work, such as search-and-rescue and medical transport." Ode to the MIC and successful business models. I'm sure their pilots are looking forward to the possible persued alternatives. It shows the so called pilot shortage is a chimera. Probably promoted by flight schools who get to cash in those fat checks to train wannabes. I see a lot of hell pilots unemployed or trying desperately to go into fixed wings as drones and such gluts eliminate demand in their field.